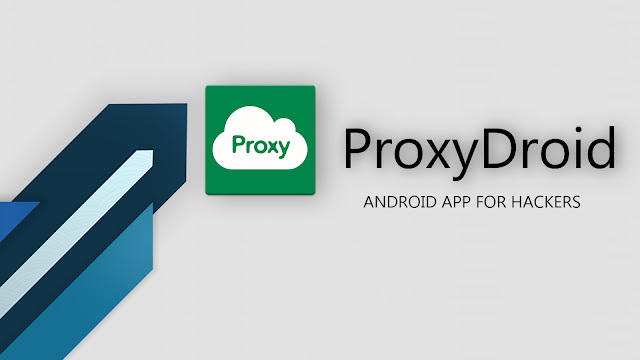 ProxyDroid is an android app that allows you to set a proxy on your android devices. It's an easy-to-use app that can use different types of proxies. I personally like this app very much because of its user-friendliness. Bypass internet censorship and filtering. Prevent web monitoring programs from spying on the online activities. 2. Open it. Then grant the root access. You will see a screen as shown below. 3. Tap on the Pencil icon, then enter a name for the new proxy profile. 4. Tap on "Host" and then enter a valid proxy IP. Change the port number if necessary. 5. Set the proxy type. (make sure you have enabled the "Global Proxy"). 7. Open any web browser and surf the web anonymously. Note: I'm not saying you can be completely anonymous by using the ProxyDroid app. All you can do is hide your actual IP. That is, you are still traceable. If you want to use the proxy for a particular app, disable "Global Proxy" first. Then tap on "Individual Proxy" and then select an app from the list. I hope you enjoyed reading the article. If you did, feel free to share our articles to your friends and followers. Hey bro.I can't connect internet when i set the proxy to 'SOCKS5'.Is there anyway to fix this.? It shows 'connection time out' on browsers! !